Russia's military is ready to cooperate with the US in Syria, the Russian Defense minister said. Russia's Defense Ministry has studied the US Defense Department's offer, and is ready ready to agree upon a document on cooperation with the US, Russian Defense Minister Sergei Shoigu said on Wednesday. Russia and the US have been developing contacts following the start of Russia's operation against ISIL in Syria. The US and Russia both make bombing runs against ISIL in Syria, which has led to tensions as Russia's operation is on the request of the Syrian president while the US operation has no internationally recognized mandate. "Without mutual support we will probably not solve this problem," Shoigu said in a meeting with Russian President Vladimir Putin shown in excerpts on Russia 24 television channel. Putin also told Shoigu to request targets from other countries' militaries for the Russian air force to strike in its Syrian anti-ISIL operation. 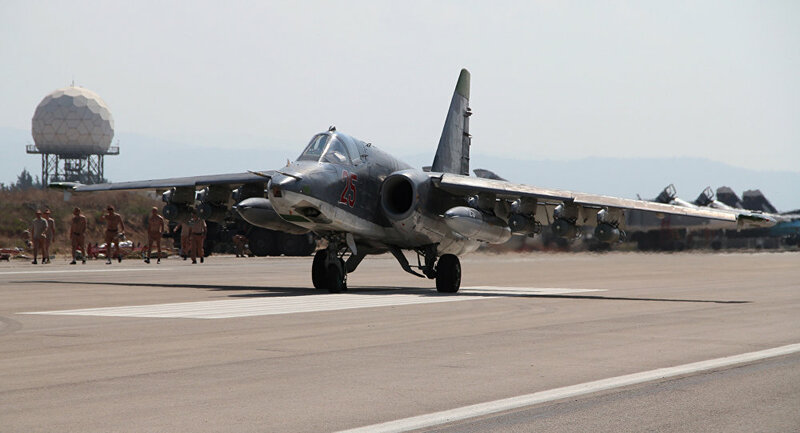 Russia's military operation in Syria began on September 30th, with dozens of daily airstrikes against terrorist targets carried out since then by the Russian Air Force.